Manages symptoms associated with respiratory disorders. 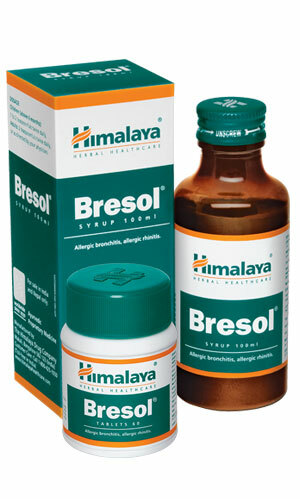 Aids in relief of nasal and bronchial congestion. Combats infections caused by bacteria. Improves breathing in respiratory disorders. Children: 1 to 2 teaspoonfuls (5 to 10 ml) two or three times daily. Adults: 2 teaspoonfuls (10 ml) two or three times daily. Children: 1 tablet two or three times daily. Adults: 2 tablets two or three times daily. Syrup: Pilfer-proof bottle of 100 ml. Tablet: Sealed pack of 60 tablets.